Last month, I shared about the Cheyenne Mountain Zoo, America's only mountain zoo. This month, we bring it all home to the real source of Spencer Penrose's philanthropic ventures: the El Pomar Foundation. Read below to learn more about Penrose's ambitions and goals and what he aimed to achieve through this charitable organization. Mr. Penrose's approach was straightforward: build for tomorrow. He did this in two ways. In a literal sense, he helped create some of Colorado Springs' most famous landmarks. Penrose first built The Broadmoor, a world-class resort in the foothills of Colorado's Rocky Mountains, and then went on to create legacies including the Pikes Peak Highway and the Cheyenne Mountain Zoo. Penrose's second approach to building for tomorrow began in 1937 when he and his wife Julie established a living legacy, El Pomar Foundation. Through El Pomar, the Penroses supported cultural and civic institutions including the Colorado Springs Fine Arts Center, Central City Opera, and Fountain Valley School. Mr. Penrose left the majority of his estate to El Pomar upon his death in 1939. Julie Penrose succeeded her husband as El Pomar president and served in that position with a generous and indomitable spirit. She left the majority of her estate to El Pomar in 1956. History and tradition don't always lead to innovation, but in the case of El Pomar Foundation these three words are intertwined. History means they've been around a long time--since 1937 when entrepreneur Spencer Penrose and his wife Julie established a legacy to serve as a valuable resource for the people of Colorado. Tradition means they do certain things year in and year out. Grantmaking is one example. El Pomar Foundation makes grants to nonprofit organizations in the state of Colorado--and has been doing so since the Foundation was established. 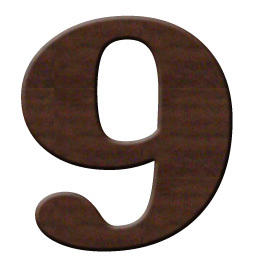 Some grantees have been funded on a regular basis since the days when the Penroses made grant decisions themselves. Innovation means the trustees of El Pomar are constantly looking for new ways to achieve the mission set forth by the Penroses-- to enhance, encourage and promote the current and future well-being of the people of Colorado. El Pomar's extensive programs are an example of innovation in action. The program details are all different, but together they support the same objectives of developing leaders and strengthening communities. As El Pomar eagerly continues its journey into tomorrow, its direction comes from its past. Spencer and Julie Penrose's lives, as they lived them, provide the principles that will continue to guide their foundation now and in the future. The city of Colorado Springs and surrounding towns have been extremely blessed by the bountiful gifts given by El Pomar Foundation. I can list off dozens of names of people I know who have been directly influenced or changed in some way by the generosity of this foundation. It's a gift that keeps on giving, and with the heart of the Penroses at its core, I'm certain it will continue for generations to come! 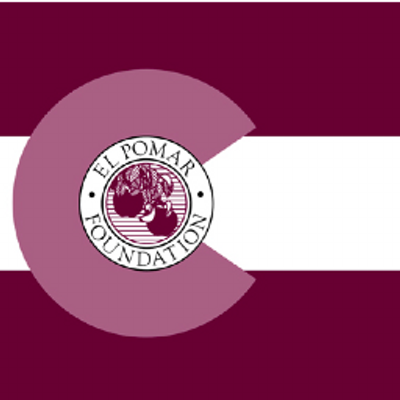 * Have you ever crossed paths in any way with The El Pomar Foundation? When and how? * Do you have a favorite charity to which you donate or support? * If you were to establish a charitable foundation of your own, what would be the top three (3) values by which you'd run the foundation? In other words, what would be most important to you to be achieved by the foundation? Leave answers to these questions or any comments on the post below. Next month, I'll be spotlighting the Madrigal at Glen Eyrie Castle. Get ready for some Christmas revelry, Medieval style. 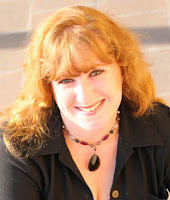 Tiffany Amber Stockton has been crafting and embellishing stories since childhood, when she was accused of having a very active imagination and cited with talking entirely too much. Today, she has honed those childhood skills to become an award-winning author and speaker who has partnered with Nerium International in the anti-aging and personal development industry, helping make people better from the inside out. My husband and I support our church, various missionaries, and the Salvation Army, but I've never considered establishing a charitable foundation. I guess I've always thought that was something the super wealthy did.